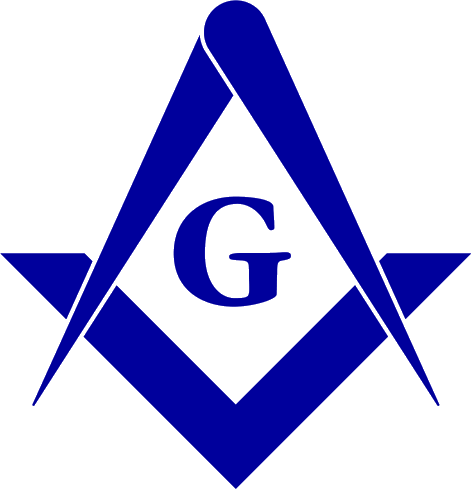 Although never recognized by regular Freemasonry, the history of Martinism is interwoven with that of Freemasonry. This catalogue of its various incarnations is neither definitive nor authoritative. L'Ordre Martiniste of Papus (Dr Gérard Encausse), created in 1888. Papus was its sole Grand Master from 1888 till his death in 1916. The Order went dormant and was revived by Philippe Encausse, his son in 1958. In 1960, taking the succession of Henri-Charles Dupont, Philippe Encausse became Grand Master and revived the Order. His occupied this office from 1960 and resigned in 1971, Irénée Séguret succeeded him in 1971 and stayed in office till 1974, Philippe Encausse took the function again in 1975, finally resigning in 1979. Emilio Lorenzo leads the Order since 1979. In 1918, the Martinist Order had signed an alliance with the Universal Gnostic Church, making that body the official Church of that Order. Philippe Encausse, having been ordained to the Priesthood of the Gnostic Church, signed in 1968, a Protocol confirming the alliance of 1918, and making the theology defined by the Gnostic Church, the official teaching of his Martinist Order and the services of that church were to become the official sacramental support for its members. L'Ordre Martiniste des Pays-Bas, presided by Maurice H. Warnon, both former members of Supreme Council of the Ordre Martiniste. The foundation of both orders was achieved at the request of Philippe Encausse, to offer an alternative to the objecting members of his order. The Federation of the Martinist Orders founded in 1958 with Philippe Encausse as its only president; it disappeared when he died. Its purpose was to unite all the Martinist Orders. It was recognized by the Ordre Martiniste of Papus, the Ordre Martiniste-Martinéziste of Lyons, the Martinist Order of the "Elus Cohen", and the Ordre Martiniste et Synarchique. It is as president of this Federation that Philippe Encausse suggested the creation of the Martinist Order of the Netherlands, in 1975. L'Ordre Martiniste-Martinéziste of Lyons was founded by Charles Detré in 1916. The successive Grand Masters of this Order were: Charles Detré "Teder" (1916-1918), Jean Bricaud (1918-1934), and Constantin Chevillon (1934-1944). It was finally closed by its last Grand Master Henri-Charles Dupont on 14 December 1958 by a merger with the Federation of the Martinist Orders of Philippe Encausse, and the Martinist Order of the "Elus Cohen" of Robert Ambelain. L'Ordre Martiniste et Synarchique is a British branch of the Martinist tree. Little is known about its history, and the members of that Order are very discrete. Several groups of this Order were installed in Canada. L'Ordre Martiniste des Elus-Cohen de l'Univers founded by Don Martinez de Pasqually in 1768. It was merged with Freemasonry by his disciple and successor Jean-Baptiste Willermoz. It was revived after World War II by Robert Ambelain, and definitively closed by him in a declaration printed in the Martinist magazine L'Initiation, in 1964. L'Ordre Martiniste Traditionnel was created by Augustin Chaboseau, in parallel with the "L'Ordre Martiniste-Martinéziste" of Lyons to succeed to Papus. Augustin Chaboseau was a member of the original Supreme Council of 1888, and was in reality the occult director of the first Martinist Order. 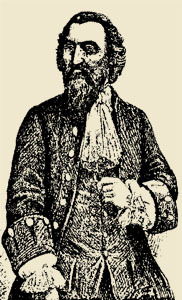 Objecting to the religious orientation of Charles Detré, and the Universal Gnostic Church, he continued to transmit the Western tradition through this organization. Directly or indirectly, he initiated Martinists who would continue the fight for religious freedom: Jules Boucher, Gustave Lambert Brahy, Maurice Warnon. L'Ordre Martiniste Traditionnel of the AMORC. Reserved to the members of the Ancient and Mystic Order of the Rose and the Cross (A.M.O.R.C.) created by Spencer Lewis. This Order was validly established by Ralph Maxwell Lewis, son of Spencer, initiated by Augustin Chaboseau and appointed as Sovereign General Delegate for California and the United States of America. Ralph Lewis separated the American Delegation from the parent Order on 14 August 1951 to created a new Order using the same name as Chaboseaus, and claiming to be his rightful successor. This is the only Martinist Order refusing to admit Martinists from other Martinist brotherhoods as visitors. L'Ordre Martiniste Initiatique was created by Jules Boucher also as a reaction to the growing influence of the Universal Gnostic Church. His intention was to reconnect Martinism with Freemasonry. The French freemasons, being in great majority hostile to Christianity, didn't support his efforts and this order disappeared quietly with the death of its founder. L'Ordre Martiniste Belge, created at the request of Philippe Encausse in 1968. The members of the Supreme Council were Gustave-Lambert Brahy, Pierre-Marie Hermant, Stéphane Beuze, Maurice Warnon, who resigned in 1975 to work in the "Ordre Martiniste des Pays-Bas". All four were former members of the Supreme Council of the Franch "Ordre Martiniste. This branch of Martinism practically disappeared with the demise of Gustave Brahy in 1991. There is only one group remaining, under the guidance of Brother Loruite. L'Ordre Martiniste des Pays-Bas, also created at the request of Philippe Encausse in 1975, to allow members of the Martinist Order to keep the freedom to worship in the churches of their choice. The members of the Supreme Council were: Maurice Warnon, Augustus Goetmakers, Bep Goetmakers, Femke Iken, Annie Iken, Joan Warnon-Poortman. This Order is currently active in the Netherlands, Belgium, France, England, Canada and the United States of America. The Hermetic Order of Martinists (HOM) was inaugarated by a group of British Martinists on 14 March 1978 with the late British freemason and esotericist, Desmond Bourke (Sâr Olibius) as the first Grand Master. Membership is only open to men who are regular Craft Freemasons and are also members of the Societas Rosicruciana in Anglia (SRIA). See glhom.org.uk. The Martinist Order of Unknown Philosophers (or M.O.U.P.) is descended from the Lyon Martinists and is distinctly spiritual and Christian in outlook. See moup.org/. Mirrored, with amendments, from kingsgarden.org 2003/07/07.